The Malana-Chanderkhani Pass trek is one of the top summer treks in India, because it takes you through evergreen meadows, cool pine and oak forests, and picture-perfect valleys. You’ll have a chance to see the legendary village of Malana, with its unique lifestyle and ancient architecture. En route, you’ll see the snow-covered peaks of Pir-Panjal and the Parvati mountain range. The Chanderkhani Pass Trek takes you high up to a pass at about 12,000 feet, long the top of a ridge. This route also involves negotiating some tricky descents, crossing a gorge, and walking beside the gushing Beas river. With a host of experiences and pleasant weather, the Chanderkhani Pass trek finds itself on a list of the top summer treks in India. Lush, green meadows are be in store for you on this summer trek in India. The Har Ki Dun trek takes you over verdant meadows carpeted with wildflowers and, if Jaundhar Glacier is included in your itinerary, you’ll get to see an incredible glacier too. You will trek through the cool forested trails of the Govind Wildlife Sanctuary and National Park in the Garhwal Himalayas, making this a prime choice in the top summer treks in India. This is an easy summer trek in India, but be aware that it involves long hours of walking. This easy trek in Himachal Pradesh is perfect for beginners, and is ideal for a quick India summer trek because it starts close to Manali. You trek past glaciers, up lushly forested slopes, passing the tree line, seeing mountain streams dot the landscape, and up into meadows where shepherds bring their flock to graze on the sweet grass. The emerald-green Beaskund lake is the highlight of this trek, and it is great for taking postcard-perfect photographs. All this is accompanied by views of surrounding peaks such as Shitidhar and Friendship Peak in the Kullu region. It is one of the top summer treks in India for the gorgeous views and cool weather. 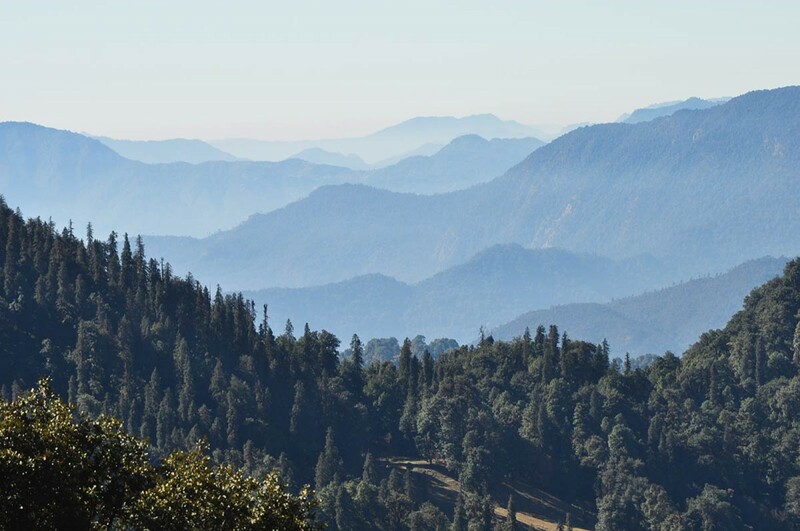 The Nagtibba trek is one of the top summer treks in India because it takes you into the cool forests of Uttarakhand, to a height of 10,000 feet. Goats and woolly sheep graze on the slopes around you, and you’ll see high Himalayan peaks like the Bandarpoonch peak. At night, you’ll camp in open meadows under clear starry skies, amidst wild mint and fragrant shrubs. The Kuari Pass trek is famous for snow trekking, but it’s also top summer trek in India because it allows you to escape the heat and enjoy a few days in the cool mountains. This trek is moderately easy, except for the summit to Pangarchulla peak, which stands tall at 15,419 feet and puts your climbing muscles to the test. One of the top treks in India, this trek takes you through endless green meadows, alpine forests, and past towering Himalayan peaks with enchanting panoramic views of Nanda Devi, the Chaukhamba Range, Mana peak, and Kamet peak. Kasol is a small village located on the lush green banks of the Parvati river at an altitude of 5000 feet. It attracts backpackers, hippies and adventure seekers from around the world and from India, thanks to its serenity and pleasant weather. This is why Kasol is one of the top summer treks in India. You’ll have a fairly steep climb, but at the top, you’ll be rewarded with views of scenic valleys, gushing rivers and snow-capped peaks. You’ll cross the fast-flowing blue Parvati river, cross green sloping fields, and walk through quaint hamlets, as well as open landscapes and forests of rhododendron trees.